← Five Dollar Acupuncture Day! It’s always a good time to re-evaluate our habits — how we commute to our work and play places being one of those habits. What better time than now to dust off that helmet, pump up those tires, and oil those chain links: your bicycle is calling! Not only is cycling a fun and functional activity, it is a way of life and makes a statement about the quality of air we want to breathe, the way we want to keep our bodies active, and the cityscape and cycling lanes we want to help create. Next week, at Hemma, we want to celebrate You on Your Bicycles, whatever your skill level and commuting distance. In honour of Bike to Work Week, we are throwing a special event: Bike to Hemma Week! 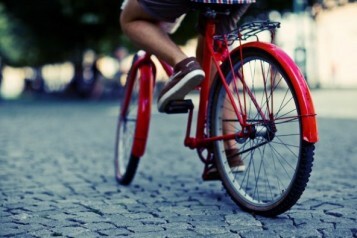 Cycle to Hemma between May 26 and June 1st, and get a chance to win free Yoga and Acupuncture! We love family tandem trips, escapes out of town, zips through traffic, easy downhills, detours by Dallas Road, shortcuts through parks, and daydreams of trans-Canada journeys. Come share what you love about pedaling!